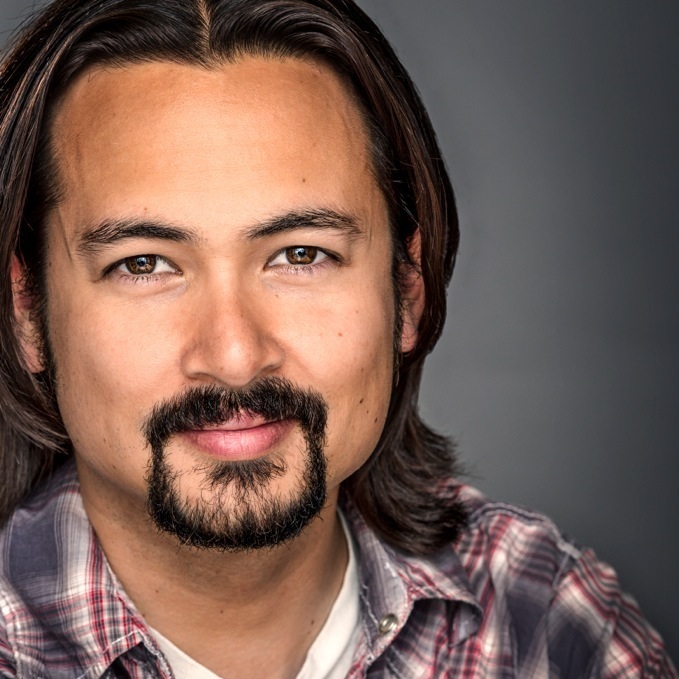 Michael Rohd is founding artistic director of the 19 year old national, ensemble-based Sojourn Theatre. In 2015, he received an Otto Rene Castillo award for Political Theater and The Robert Gard Foundation Award for Excellence. He is an Institute Professor at Arizona State University’s Herberger Institute for Design & the Arts and is is author of the widely translated book Theatre for Community, Conflict, and Dialogue. He is Lead Artist for Civic Imagination at Center for Performance and Civic Practice (CPCP), which he co-founded in 2012. CPCP is a national team of artists who believe that with the right approach, the same tools and capacities that artists use to make art can be utilized to transform systems and improve the impacts of government and community-driven efforts and programs. Recent/Current projects with CPCP and Sojourn include collaborations with ArtPlace America, Goodman Theater, LISC, Kansas City Mayor's Office, Cuyahoga County, Ohio, Cleveland Public Theater, Americans for the Arts, Nashville’s MetroArts, City of Santa Monica, CA, United Way, Flint Youth Theater, Catholic Charities USA, Cook Inlet Housing Authority Alaska, Jackson Medical Mall Foundation Mississippi & Steppenwolf Theater. Soneela Nankani (Managing Director/Ensemble) Soneela Nankani is Managing Director of Sojourn Theatre and Executive Director of Center for Performance and Civic Practice (CPCP). She has served as Sojourn’s Managing Director since 2012. Soneela has over 25 years of experience as a community dialogue facilitator, co-creator, thought partner and performer in capacity-building and place-based projects around the nation. Additionally, Soneela is a classically trained actor. She works in the performing arts as a performer, writer, and producer. She is an award-winning audiobook narrator with 150 titles to date. She has garnered 5 Earphone awards, and Audie nomination and a SOVAS nomination. Her audiobooks have been included in Best of the Audiobooks of the Year lists by AudioFile Magazine (2016) and The Washington Post (2018). Soneela has a BA in Economics and Theatre from University of Pennsylvania and an MFA in Acting from Columbia University, where she was the recipient of Columbia University’s Research Fellowship in Acting, which resulted in a year-long apprenticeship with voice pioneer, Kristin Linklater. Bobby Bermea is the co-artistic director of The Beirut Wedding World Theatre Project, a member of Sojourn Theatre, and a long-standing member of Actors Equity Association. Bermea is a writer, director and award-winning actor and has appeared in theatres literally from New York, NY to Honolulu, HI. As a director, Bermea has recently helmed productions of My Soul Grown Deep and The Green Book with BaseRoots Theatre, Hollow Roots with BoomArts, Dr. Jekyll and Mr. Hyde and The Sexual Neuroses of Our Parents with Theatre Vertigo, Wait Until Dark at Northwest Classical Theatre, Fires in the Mirror and Blue Door at Profile Theatre and he co-directed Top Dog/Underdog at Street Scenes. Bermea has also done extensive work with youth and especially at-risk populations, having worked through the Actors-to-Go at Artists Repertory Theatre, Higher Stages with Tears of Joy, the Haven Project, Playwrite, Inc., Young Audiences, Portland Youth Builders, the Cordero House. Courtney Davis is a performer-creator, designer, and ensemble member for over 13 years. She is fascinated by the impact of the spaces we inhabit, and their potential to create a more functional, supportive, healthy, and just society. She also owned an interior design and styling business in Chicago, and is currently a Master of Interior Architecture Student at Arizona State University. She looks forward to cultivating a multi-disciplinary practice that supports community health and social change. Jono Eiland is a founding member of Sojourn Theatre and has worked as a performer and creator since its inception. He is now based in Los Angeles where he is also a member of the classical companies the Porters of Hellsgate and Method & Madness. He is a graduate of Virginia Tech. James Hart is currently working with Sojourn as performer/creator/facilitator on Islands of Milwaukee and the Catholic Charities USA project. He was involved in Finding Penelope, On the Table, Throwing Bones, Built, Good, The Visit, and Witness Our Schools. Other credit include three seasons at the Oregon Shakespeare Festival and eleven seasons with Harlequin Productions in Olympia, WA. James is passionate about facilitating change and self discovery through his counseling work. He loves spending time with his wife and two daughters. Kimberly Howard heads Education Initiatives as part of the Corporate Social Responsibility Team at Portland General Election and serves as Program Officer for the PGE Foundation. Prior to coming to PGE Kimberly was the Trust manager of the Oregon Cultural Trust for five years, managing director at Portland’s Interstate Firehouse Cultural Center before that and education/outreach director for Artists Repertory Theatre. Howard is an accomplished actress, with credits in New York, the Williamstown Theatre Festival and several Portland theaters. She is an ensemble member of Sojourn Theatre and received a Drammy Award (Portland’s version of the Tony Award) for her work in its production of Tartuffe: The Visitor. After attending Wellesley College, Howard received her BA from Pacific Union College, where she majored in political economic history. She holds an MFA in acting from Columbia University and has taught theater at Walla Walla University. Liam Kaas-Lentz is a native of Bellingham, WA. He has served as Sojourn’s stage and production manager for the past nine years and eleven productions. As an equity stage manager, he has worked for theatres all over the country. He received his B.F.A. in stage management from Southern Oregon university and his M.Ed in curriculum and instruction from Portland State University. Liam has also taught stage and production management with a focus on ensemble, devised, and site-specific contexts and methodologies at universities all over. He lives with his wife and two cats in Portland, Oregon. Sara Sawicki is a Chicago based theatre artist. With Sojourn, she acts as project coordinator for HOW TO END POVERTY in 90 MINUTES (HTEP), and has performed in and directed iterations of HTEP across the country. Sara is on staff with Center for Performance and Civic Practice as Partnerships and Communications Manager. Sara is also a puppeteer with Manual Cinema (MC), where she originated her track in their adaptation of FRANKENSTEIN (Alphonse Frankenstein & Lord Byron). She tours internationally with MC in LULA DEL RAY (Lula's Mother); MEMENTOS MORI (Lady); and ADA|AVA. Past projects include work with: NetherRealm Studios (cinematic performance capture); Actors Gymnasium (Youth Circus co-director and writer); & one step at a time like this in collaboration with Chicago Shakespeare Theater (performer). Shannon Scrofano designs spaces and conditions for performance, public conversations, and other time-based media. She serves on the board of Los Angeles Performance Practice and collaborates with the newly founded Center for Performance and Civic Practice. She teaches at California Institute of the Arts. Joel Sugerman began working with Sojourn on Built and On The Table. 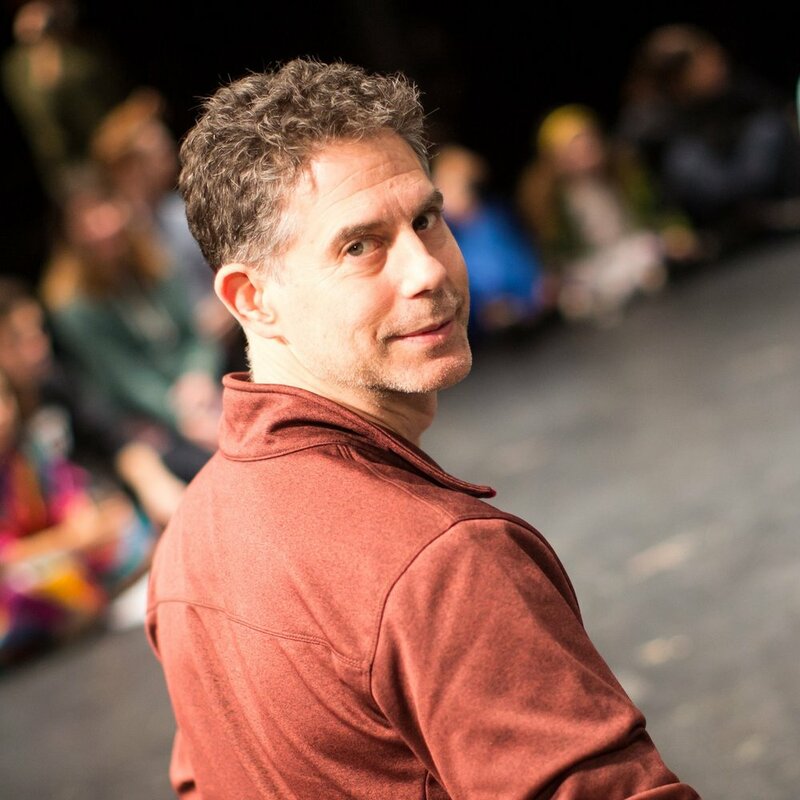 Joel is the Director of Theatre at Lawrence Academy, an independent high school in Groton, MA. He has made, performed and taught theatre in Chicago, Minneapolis, Cleveland, the Czech Republic, as well as a smattering of other US and European locales. Joel earned his bachelor’s degree from Northwestern University and studied at the Dell’ Arte School of Physical Theatre in California. A renaissance woman of the theatre, Jamie Rea is continually exploring this powerful tool of connection & change. From Germany's Grotest Maru to Wellington's dance ensemble JAVA, she serves as an award winning director, designer, & actor, as well as a production-stage manager. As Co-Artistic Director of Beirut Wedding, Founding Core with JTC, & long time member of Sojourn Theatre, Jamie is a firm believer in the power of collaboration. Let's build a more effective community. Maureen Towey is a director working across artistic mediums. Recently, she directed a music video for Sharon Van Etten and a short film entitled "The 8th Year of the Emergency”, which will premiere in 2019. For The New York Times, Towey directed “Sensations of Sound” for NYT VR and served as the Senior Producer for The Daily 360. Towey has worked as a Creative Director for award-winning musicians such as Arcade Fire, Ray LaMontagne, Tune-Yards and Esperanza Spalding. As an ensemble member with Sojourn, Towey directs radical community-based arts events, such as Finding Penelope and The Islands of Milwaukee. A highlight of her live performance work was directing Black Mountain Songs, which was co-created with Bryce Dessner (of The National) and starred the Brooklyn Youth Chorus (BAM in NYC, Barbican in London). Towey has been recognized as a Fulbright scholar (South Africa), a Princess Grace fellow, and as a PBS/AOL MAKER. Hannah Treuhaft is a music maker and teacher in Portland, Oregon. As a long-standing ensemble member and the former Education Director of Sojourn Theatre, Hannah has led young people all over the Portland area in the creation of new performance. She serves on the National Board of the Center for Art and Civic Practice and on the board of the Parent-Teacher Club at her children’s school. Nik Zaleski is a director, facilitator, playwright and cultural activist rooted primarily in the reproductive justice movement. She is a co-founder of the FYI Performance Company, which designs participatory theater experiences about sexual health and sexual violence. Professionally, she consults on arts-based strategy for reproductive health and justice organizations. Nik has directed performance for Redmoon Theatre, Northwestern University and Arizona State University, as well as for FYI, Erasing the Distance and Sojourn Theater, where she is also an ensemble member. She completed her undergraduate degree in Performance Studies and Gender Studies at Northwestern University and holds an MA in Interdisciplinary Studies from DePaul University, which combined Public Health and Directing coursework.